I am always looking for ways to improve my gaming life (and work life, to a degree). Over the past couple of years, it has become clear to me just how important it is to have quality tools at your disposal for the PC. It goes beyond having a decent gaming mouse and a quality keyboard; the mousepad can play an integral role too. Recently, I was given the chance to check out a variety of mouse surfaces from XtracGear which run the gamut of purposes from everyday use to gaming enthusiast. I put each one of the samples through the ringer of my various PC usage and have to say, I was pretty happy with all of them. The first and smallest of the lot is the XTracGear Carbonic. 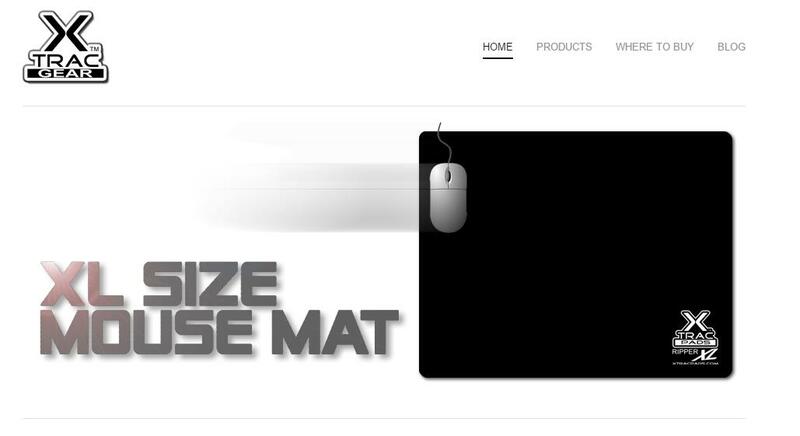 This is the base-line, standard mousepad that the company offers. 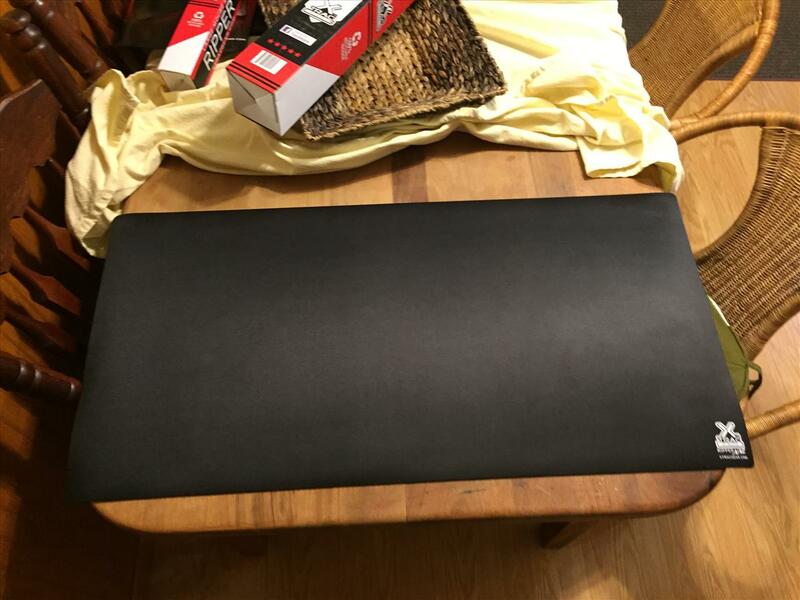 It is a solid, basic mousepad, and I don’t mean that in an offensive manner by any means. The pad uses a traditional cloth material with a “polished textile” surface, making it incredibly smooth both to the touch and for use. I had worries when I first touched it that it would wear easily and that the edges, in particular, would show serious signs of use in a short amount of time. That surely hasn’t been the case as this pad has been used as my main mousepad in my work office; it gets 8 plus hours of solid usage each day and hasn’t shown any signs of wear after a few weeks. The one thing that has impressed me the most with it is the grip it holds to the desk. This little thing hasn’t moved at all; its no slip backing keeps it in place better than any other mousepad I have used. I have no problem recommending the Carbonic for anyone with basic, mousepad and normal gaming needs. Next up, not only on the list but also in the size category, is the Ripper XL. This is a much larger surface than the Carbonic and feels much higher in quality in terms of its material. It sports the same style of surface, which is incredibly smooth and soft to the touch although it feels a bit thicker and heavier. The same padding is used on the back, so slippage is not an issue at all. The XL measures more than 17 inches wide and 14 inches deep, giving you plenty of space to move around when playing your favorite games. I don’t usually keep my mouse settings on the highest sensitivity, so the added surface space is welcome in my gaming life; no more running off of the edge of the mousepad and having to physically reset myself. Although I can see this being extremely useful on any gamer’s desk, this has proven to be more useful to me as my go-to pad for portable computer and board / card gaming. It rolls up nicely and fits in my laptop bag with ease, making it extremely portable. I hate trackpads and break out a mouse with my laptop every chance that I get, so this really serves my needs in that department greatly. Aside from PC usage, I have also found this mat to be the perfect size for playing Magic: the Gathering (or any other card game for that matter). 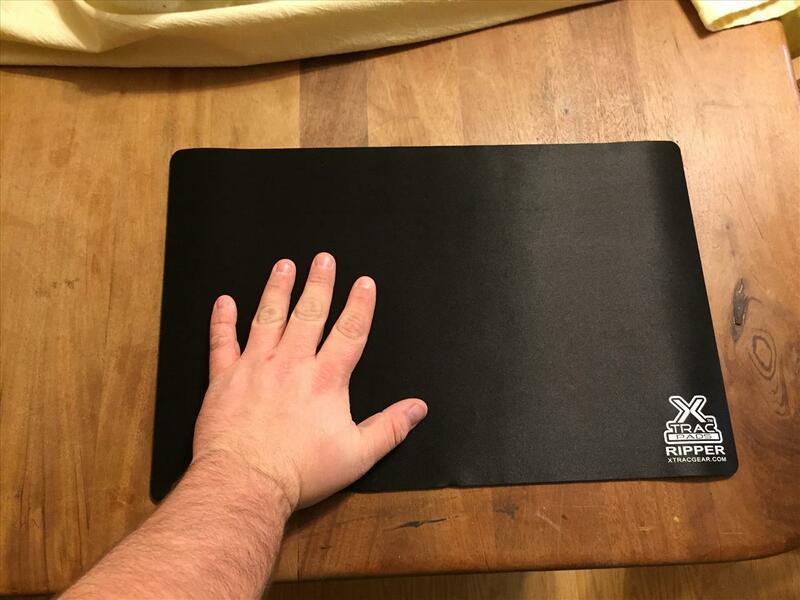 I have been putting off the purchase of an official MtG playmat for years and have find that the Ripper XL is a perfect substitution for official, more expensive mats. Finally, we have the monster itself: the Ripper XXL. I have to admit, I busted out laughing when I pulled this behemoth out of the box. Surely a pad this size wasn’t necessary for a gamer of any type; while it may not be a necessity, it is a luxury I no longer want to game without. 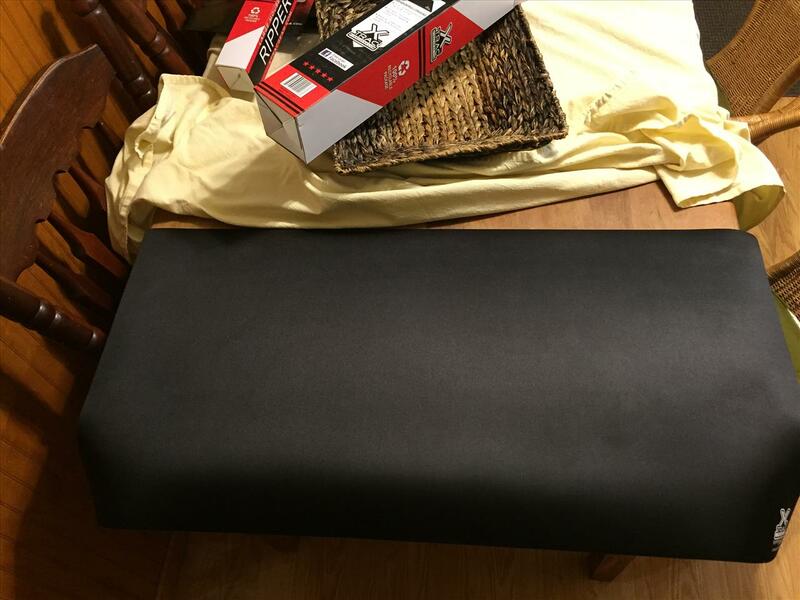 The XXL is intended to be a full desktop mat, measuring 36 inches wide and 18 inches deep. It takes up nearly my entire desktop and provides and incredibly smooth and soft surface. It houses not only my desktop keyboard and mouse, but also my forearms when resting them on the desk. The Ripper XXL series has the same polished textile surface as the other pads, giving you an almost silk-like surface to the touch. This means it is comfortable and allows your mouse to glide across it with ease. Plus, much like the XL, the large surface area nearly guarantees that I won’t be running off of the edge of the mousepad at any time when playing games. The thickness serves as more than just a comfortable surface as it also creates a nice buffer for my keyboard. I use a Razer Blackwidow primarily, mainly because I absolutely love the feel of a quality, mechanical keyboard. If you have ever used a mechanical board, you know how loud they can be; this surface has really helped muffle a lot of the noise that comes with mechanical style, which is sort of a bonus feature if you ask me. Despite being incredibly soft, the surface is still rigid enough to write on if need be. I was worried that jotting notes on paper and such (yes, I still use a pen and paper rather frequently) wouldn’t be ideal but it hasn’t been an issue. I truly don’t know how to function without this thing; plain desktops now feel foreign to me. While I have no problem recommending either of the two products to anyone, this one is the one that I would consider a must buy. Regardless of what you’re specific needs are, XtracGear has a variety of surfaces that will undoubtedly suit your needs. I don’t normally use soft mouse surfaces after switching to harder pads a few years back, but this line has changed my position on that. Each one of these pads is a quality surface, although the Ripper XXL in particular is the one I would consider the cream of the crop.